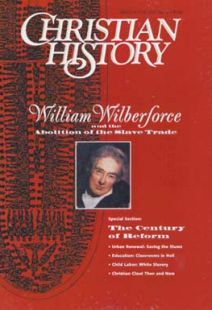 Wilberforce and his friends engaged in an antislavery public opinion campaign unprecedented in English history. In 1814 they gathered one million signatures, one-tenth of the population, on 800 petitions, which they delivered to the House of Commons. The English ruling classes viewed abolitionists as radical and dangerous, similar to French revolutionaries of the day. Antislavery bills of one sort or another were defeated in Parliament for 11 consecutive years before the act abolishing the slave trade was passed in 1807. Slave ship crews were often treated more cruelly than slaves. Slaves brought a profit, so there was incentive to ensure they were adequately fed and cared for. In fact, the death rate for crews was higher than that for slaves. Wilberforce was one of five members of the Clapham Sect (the aristocratic circle of Christian activists) who held seats in the House of Commons who never lost a parliamentary election. In the summer of 1833, Parliament passed the second reading of the Emancipation Act, ensuring the end of slavery in the British Empire. Three days later, Wilberforce died. Slavery wasn’t the only social issue that troubled nineteenth-century British Christians. Between 1780 and 1844 they founded at least 223 national religious, moral, educational, and philanthropic institutions and societies to alleviate child abuse, poverty, illiteracy, and other social ills. Friendly Female Society for the Relief of Poor, Infirm, Aged Widows, and Single Women of Good Character Who Have Seen Better Days. Books about discouraging social problems became best sellers. For example, in In Darkest England and the Way Out (1890), Salvation Army founder William Booth described England’s “submerged tenth,” trapped in vice, poverty, and godlessness, and explained his plan to end unemployment. The book sold one million copies. In their efforts to reform society, many British evangelicals criticized such amusements as dancing, hunting, playing cards, theater going, reading novels, and even Handel’s oratorios. Richard V. Pierard is professor of history at Indiana State University. He co-authored Two Kingdoms: The Church and Culture (Moody, 1993).